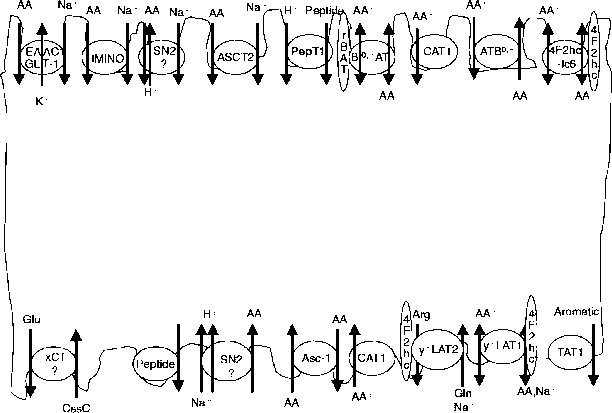 Emerging issues in this area include the profound modulatory effects of amino acids on the proteins associated with the regulation of mRNA translation (Chapters 1 and 5). However, it is still not known which specific amino acids are involved in this function. The particular role of leucine in this context deserves further attention. Leucine kinetics should be studied not in isolation but in conjunction with its structural analogues, namely isoleucine and valine. In the first edition, considerable emphasis was placed on the nutritional and biochemical interactions between the three branched-chain amino acids. However, studies on cellular transport are still conducted on individual amino acids in this group without due recognition to the complex interactions described in Chapters 7 and 14. The roles of amino acids as immune modulators and signalling molecules (Chapters 1, 3 and 4) are topics that are likely to be given considerable attention in the future. Increased focus on the functions of gluta-mine is likely to produce dividends, whereas relationships between homocysteine and B-complex vitamins in pregnant and lactating animals as well as in companion animals have yet to be explored. It is important that animal nutritionists and veterinarians are ready to monitor and exploit any advances emerging in these areas.